Visiting & Camping Out At Starved Rock – Tri. Tech. Travel. 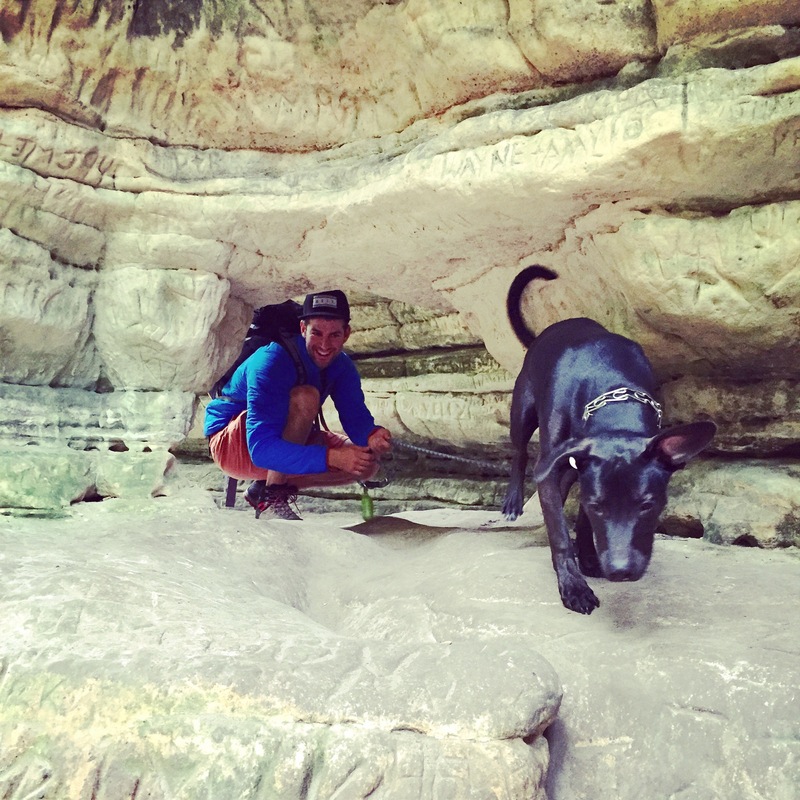 Recently, my boyfriend and I enjoyed a two-day trip to Starved Rock. I have to say, October is the most gorgeous time to visit Starved Rock State Park, thanks to less crowded trails, better temperatures for all-day hiking as well as being able to see all the trees around you (thousands, literally) changing into pretty reds, oranges and yellow hues. 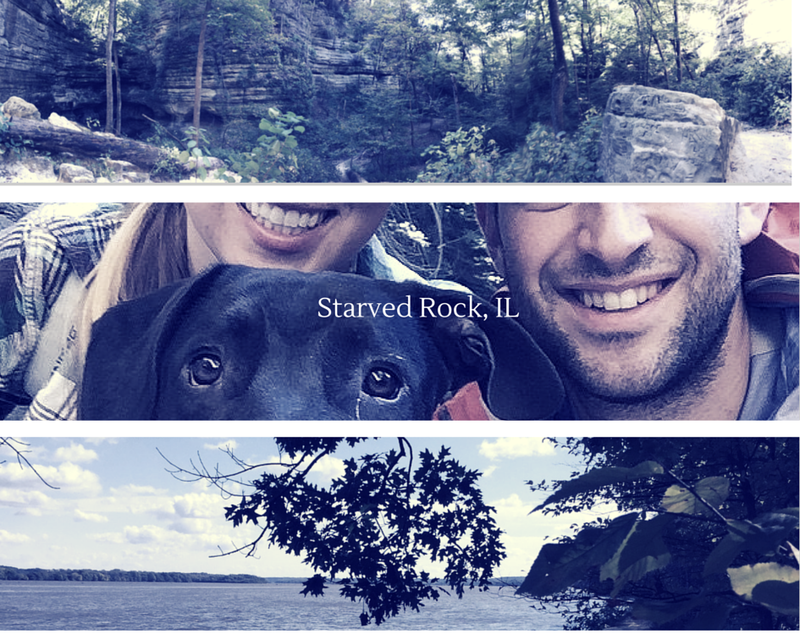 We decided to make the most out of the experience, since Starved Rock is an hour and a half drive from Chicago without traffic and camp overnight. 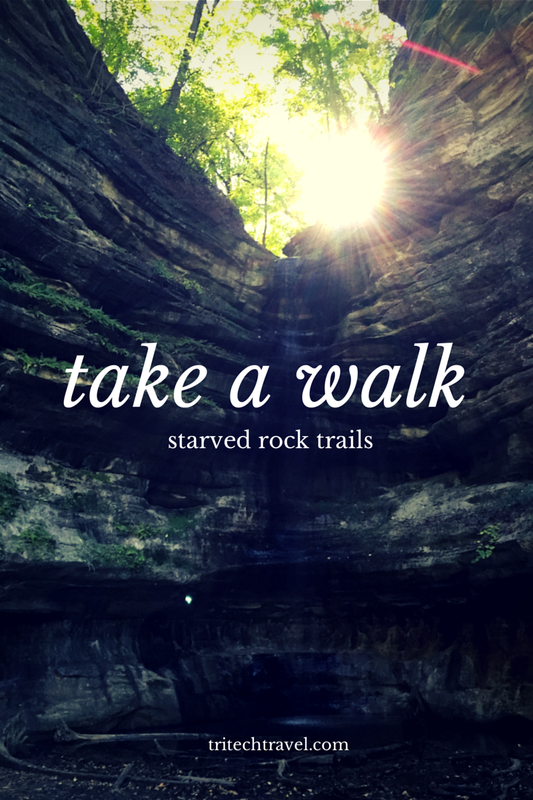 We started with a day of hiking the trails that are a bit further away & figured we’d do the Starved Rock portion on the second day, when we could cover 13 miles or so. 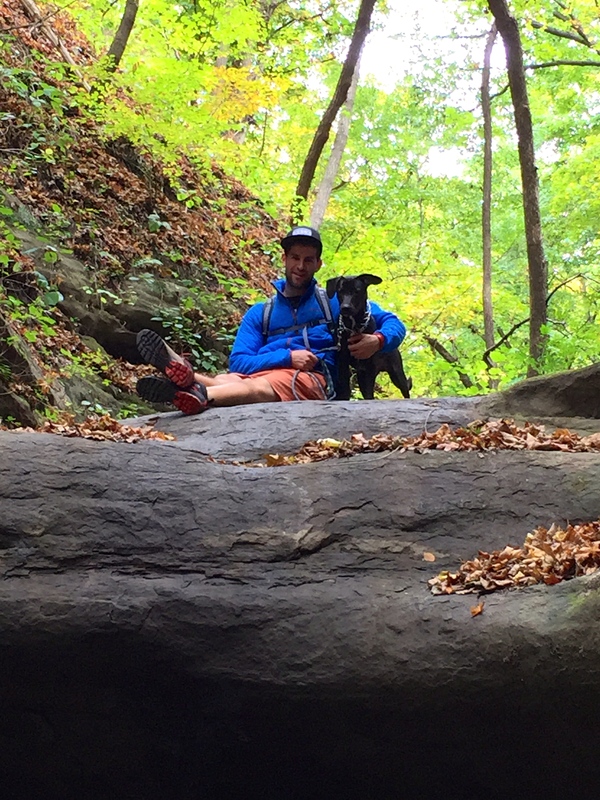 Matthiessen has about five miles of hiking trails & canyons, and it’s down the street from where you first pull in. I’d never been to this section, and it’s a great spot to hike first, as it’s one giant circle and you can walk up top of the canyons or down in the actual canyon. The grounds were clean and spacious, plus the next camp site was a ways away from us, which is what I wanted. There was a shower and indoor bathrooms we passed, but we chose a spot further away from the opening of the camp grounds, so there was only running water and portable bathrooms… for one day I could get over it. We lit a huge fire, had already eaten some mac & cheese on the trails, kicked back and of course made s’mores. Nothing better than that. Day two we hit Starved Rock and decided we wanted to see more of the canyons, than the lookout spots – I wasn’t interested in climbing LOADS of stairs to see from each viewpoint if we were going to try to hike most of the 10 – 13 miles of interior trails. I’d have to say my favorite spots were St. Louis Canyon, French Canyon and the Ottawa Canyon, these views were incredible. There wasn’t much rainfall before we came, so the waterfalls weren’t too full, but it was still a gorgeous site full of fall leaves and I’ve never seen a happier puppy. I did pop into the Starved Rock Lodge first initially, since we came around the wrong way, and it was a pretty cool & unique hotel. It seemed like the perfect stay-cation spot and I’m sure would actually have gorgeous views without having to actually go outdoors in the winter time, may have to visit and stay there next time!